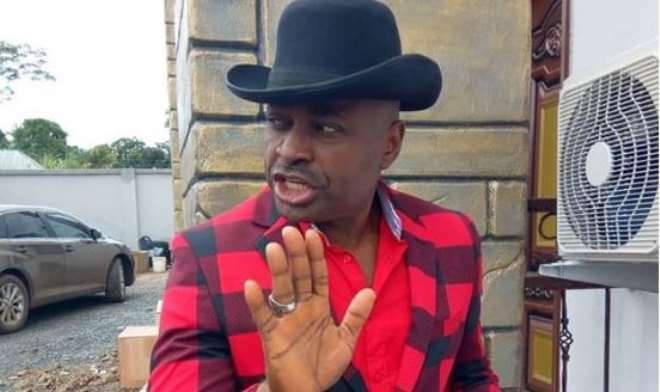 It is no longer news that veteran Nollywood actor, Kenneth Okonkwo, has joined politics and already running for the governorship seat in Enugu state but he has come out to set the records straight. The actor is not new to politics as he has enjoined some political appointment in the past but running for the governorship seat off the Enugu is his own way of wanting to help alleviate people from struggles which they have witnessed over the years. The actor has been getting various tongue lashes from some people who have come out to criticize the party which he has chosen to pitch his tent but that is not a problem to him. What bothers the actor is the age which people have perceived him to be which he has come out to clear. Kenneth stated that he was born on 6th November, 1968, which automatically makes him 49, before his birthday and not 52 as widely publicized. “We thank those who are already joining us with their support. God bless you all. Kindly note that I am 49 years old and was born on 6th November, 1968 and not 6th November, 1965 as erroneously reported by some journalists. Good morning,” he shared.